If you’re recovering from yesterday, maybe it’s time to take a mental trip. We always encourage you to get outside to get a bit of fresh air and exercise. Today would be a great time for a walk around the block after yesterday’s big meal, if it’s not too snowy in your neighborhood! 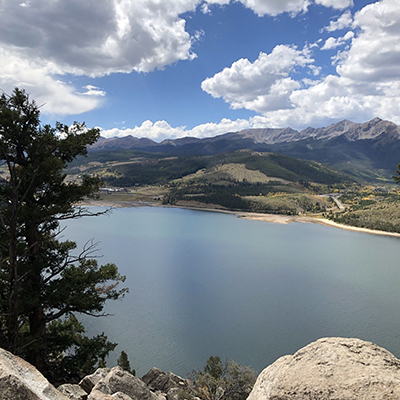 If it’s too snowy/icy/cold outside, take time to plan out a trip to Colorado with these beautiful walks! Known for its mountains and lakes, this beautiful state is well worth a look. As always, we’ve picked out four walks we think you might like. Image: Kyle Roberts, Alltrails.com. See more photos. This wheelchair-accessible 0.6-mile loop is a flat path around beautiful Lake Dillion. Depending on your outlook, it is either a perk or a downside that chipmunks on the trail are used to being fed by humans and are very friendly. If you go with children, this could be great. If you go with a dog, they may be desperate to chase the chipmunks. Dogs must stay on a leash. It features viewpoints and benches. There is a vault toilet at the head of the trail. If you are a camping enthusiast, there are 344 campsites in the area. Get directions and more info here. Image: Jonathan Lorber, Alltrails.com. See more photos. If you have ever wanted to see the famous rock formation Castle Rock close up, it’s not that hard. 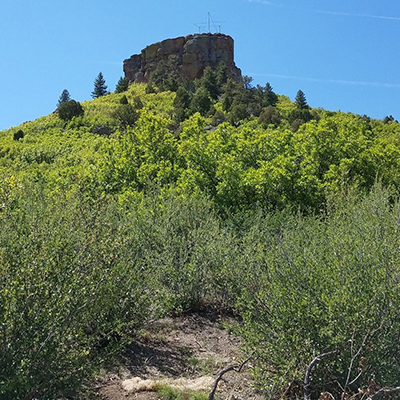 A 1.4-mile loop, the Castle Rock Trail is quite a busy path between March and October. Dogs are allowed on leashes. If you want to, you are permitted to climb to the top of the rock, but many of us are happy just to get up to its base where there are picnic benches to sit and enjoy the view. The trail to the base is not particularly hard but is unsuitable for wheelchairs as the path is uneven and rocky in spots. There are stairs hikers can use instead. The trail features views of the town and wildflowers. Get directions and a trail map here. Image: Thomas Hall, Alltrails.com. See more photos. This four-mile loop is heavily trafficked and accessible to wheelchair users and dogs on leashes. The rock formations are unique and well worth the walk. The park has 15 miles of trails to explore and color maps are available for free. 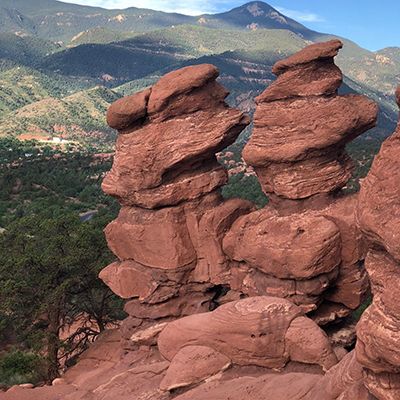 A movie at the visitor’s center explains how the red rocks got to Colorado. The movie costs $6 for an adult ticket but the park itself is free. Get directions and more information here. Image: John Fowler, Wikimedia. See more photos. 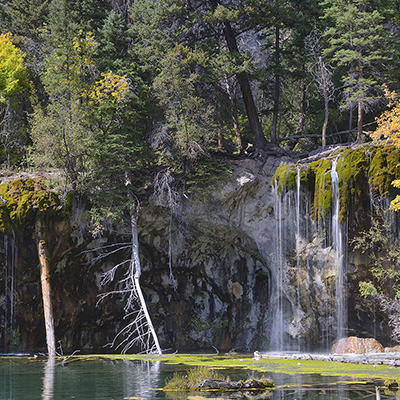 Hanging Lake Trail is a moderately difficult walk with steep sections. Because of the trail’s fragile ecosystem, no dogs are allowed, nor should visitors touch the water or climb over the logs. Out and back, the trail is 2.8 miles with falls, caves and wildflowers. Wear good hiking boots and be aware that the path can be icy in winter. Also, bring water because the water on the trail is beautiful, not potable. Get directions and learn more here. We hope you enjoy our weekly digital walks around the U.S.A! Email us your thoughts, especially if you have ever been to a spot we mention or are planning on going. Send a message to socialmedia@neulivenhealth.com.